John William King's execution date is set for April 24, 2019 at 6 p.m., Newton County Sheriff Billy Rowles told 12News. Rowles was the sheriff in Jasper County when Byrd was tragically and brutally murdered over 20 years ago. 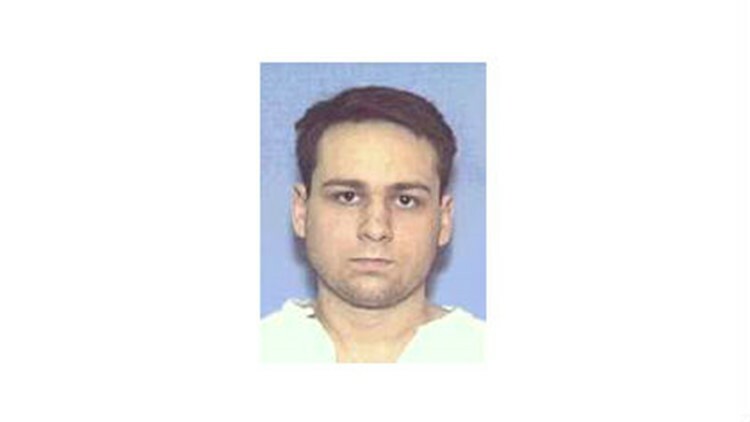 One of three men convicted in the 1998 dragging death of a Jasper man is set to be executed next spring. King's appeal to the U.S. Supreme Court claiming his lawyers at the time of his trial were ineffective was denied Oct. 29. The Fifth Circuit Court denied King's earlier appeal for the capital murder conviction of James Byrd, Jr. in January. MORE | Court denies John William King's appeal in dragging death of James Byrd Jr.
Lawrence Russell Brewer, 44, was executed in 2011 for the crime and Shawn Berry, 42, is serving life in prison. Byrd's death sparked legislation about hate crimes in the resulting public outcry throughout the last two decades. President Barack Obama signed The Matthew Shepard and James Byrd Jr. Hate Crimes Prevention Act on October 22, 2009 as part of the the National Defense Authorization Act for 2010 (H.R. 2647). The legislation was conceived as as a response to the murders of Matthew Shepard and James Byrd Jr., both in 1998, and expands the 1969 United States federal hate-crime law to include discrimination and hate crimes motivated by a victim's gender identity, sexual orientation or disability. Byrd's murderers were white supremacists who killed him due to his race, and the attack against Matthew Shepard was reported to be because he was gay. According to FBI statistics, out of more than 113,000 hate crimes since 1991, 55 percent of hate crimes were motivated by racial bias and 14 percent were due to sexual orientation. 17 percent of hate crimes were motivated by religious bias, according to the same report. The Jasper community shared with 12News in June how they are remembering James Byrd Jr. 20 years after his death and healing from the incident. “Jasper County got a scar that runs from here to here and its healing, you can’t see that scar real good now, but it’s still there," Newton County Sheriff Billy Rowles told 12News in June. Rowles was the sheriff of Jasper County from 1998 to 2005 before becoming Newton County Sheriff.